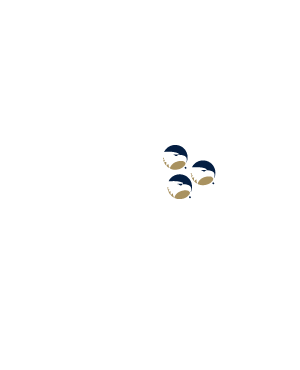 Georgia Southern resides on three separate campus across southeast Georgia. A majority of our students reside on the Statesboro and Armstrong campuses, located in Statesboro and Savannah respectfully. Below, you can read more about the campuses and what they have to offer! The Statesboro Campus is a traditional residential style campus with dormitories, dining facilities, a health center, recreation center, small shops and stores and many other amenities located on the campus property. With nearly 21,000 enrolled students, the Statesboro campus is its own community within the city of Statesboro. With nearly 1,000 acres of well-maintained landscape, students will learn and live in a peaceful setting that feels like home. To experience the Statesboro campus for yourself, take a virtual tour of the campus! Big opportunities in a personal environment that emphasizes student learning await you. Statesboro, Georgia has been named one of “America’s Best Small Communities.” The university has a close relationship with the local population and supports many cultural, scientific, and economic development outreach programs. 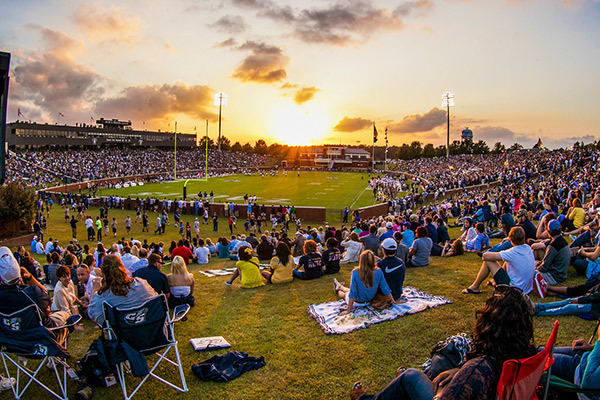 Situated in Southeast Georgia, Statesboro experiences pleasant weather year-round and its location puts students into close proximity to several major urban cities as well as landscapes to engage in outdoor and recreational activities. Atlanta, Jacksonville, Charleston, and Hilton Head are all just a few hours away. The city of Savannah, where Georgia Southern keeps expanding its footprint for student opportunities, and the beaches of Tybee Island are roughly one hour away. But there is also plenty to do at the Statesboro campus and locally to keep busy! With nearly 300 student organizations, guest speakers, cultural events, volunteer and leadership possibilities, farmers markets, football games, plays, musical performances, and research support at all program levels, you’ll always manage to get involved and remain engaged. Statesboro offers the charm and safety of a small town but has the amenities of a larger city, such as varied shopping centers, cafes and restaurants, and entertainment options such as a cinema and outdoor parks. Formerly known as Armstrong State University, the Armstrong campus joined the Georgia Southern family in Spring 2018 after a consolidation between the two universities. Only 15 minutes by car from the city of Savannah and 25 miles from Tybee island, the Armstrong campus offers beautiful landscapes and greenery with access to the southern city life of Savannah. Enjoy subtropical ferns and flowers, oak trees with Spanish moss and a plethora of native plants, as they decorate the landscaped 268-acre campus. 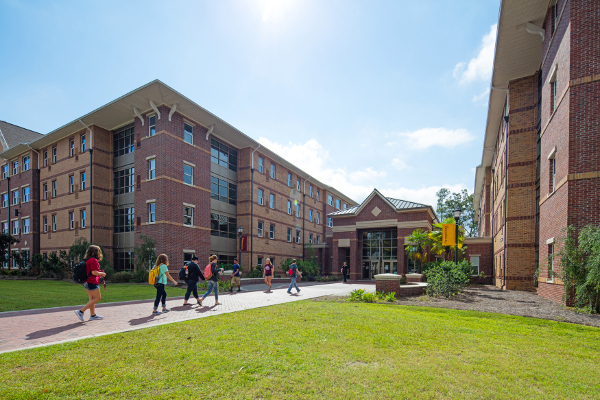 Like the Statesboro campus, the Armstrong campus also acts as a traditional residential style campus with dormitories, dining facilities, a health center, recreation center, small shops and stores and many other amenities. With close to 7,000 enrolled students, it also offers a quiet and scenic feel while still having access to the excitement of Savannah. Savannah is full of rich history and southern culture. According to Visitsavannah.com and Condé Nast Traveler, Savannah is constantly known as one of the “world’s friendliest cities”. Click here for more information about life on the Armstrong campus!